The light today has been bright and low, casting shadows so early. It definitely feels like winter. 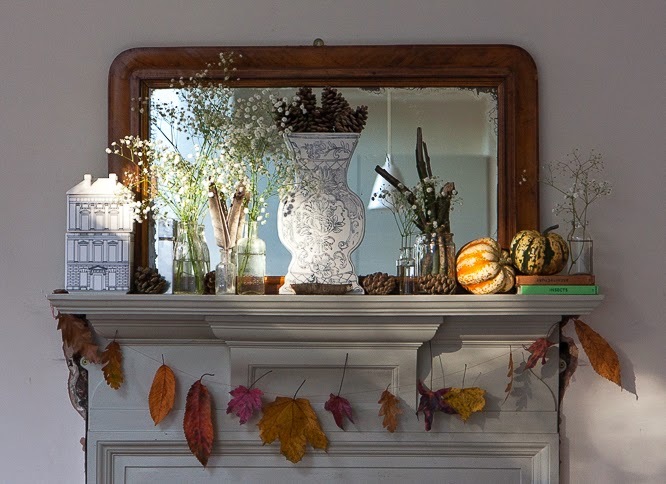 I tried my best to capture it hitting the mantlepiece in the kitchen for this months #stylingtheseasons challenge. 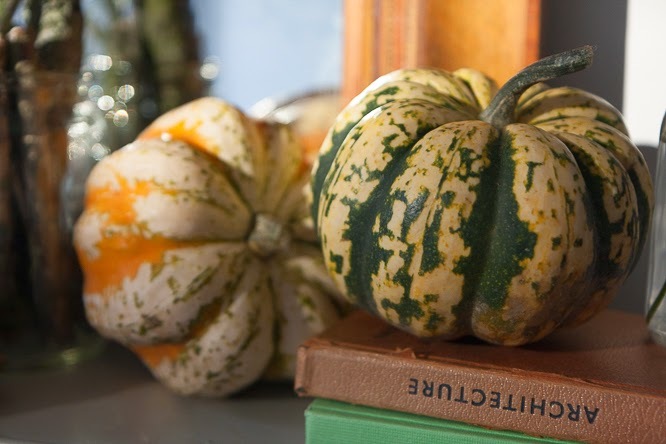 I missed doing an October post - so I've added some mini squash to this months challenge. I got these yesterday (unfortunately bought, rather than freshly picked from the garden). Hugh bought the gyp last week for us to spruce up the kitchen for our bonfire night gathering and I made the garland from some of the left over of the leaves we collected at Kew a couple of weeks, the rest are piled up in a box in the kitchen, gently curling and crisping up. If you've been here before you'll know I love a bandwagon - so the observer books are a nod to my blogging and instagram friends. The insects one was part of an invitation sent by Katy & Charlotte to join the styling the seasons event at Liberty, the architecture one was the only one of many we used to have that my parents could find at their house. What happened to the others is a mystery. I may have to do some loft exploration when I next visit their house. Feathers and fur cones and beautiful sticks and leaves. 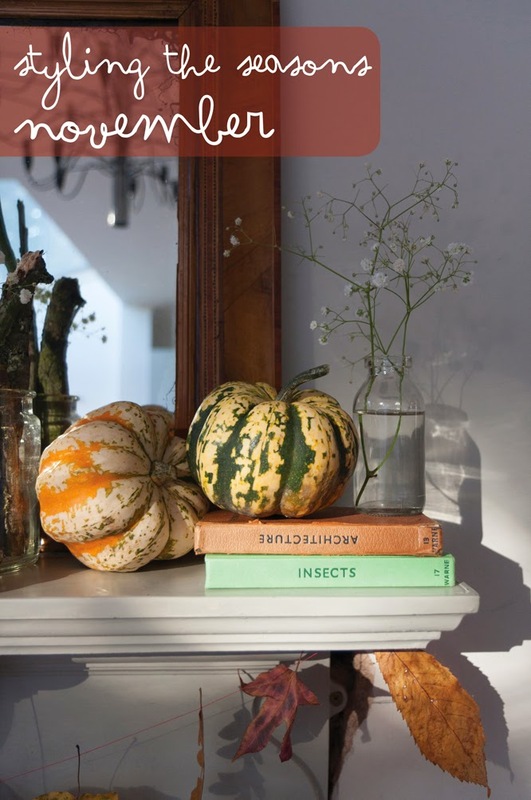 I've really enjoyed out autumn foraging this year and I like the seasonal feel of the mantlepiece - next week it will be back to it's normal clutter chaos I expect - for the moment that is all out of shot on the kitchen table. 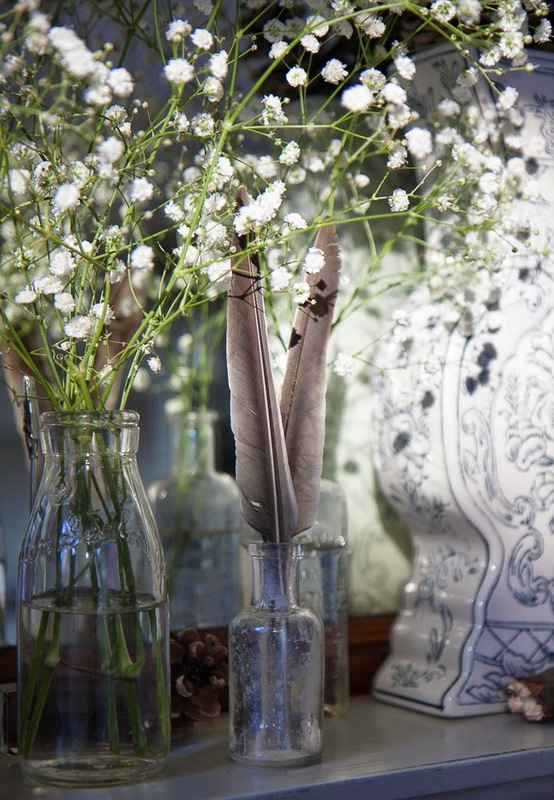 I love your mantlepiece AND pictures, beautiful light !